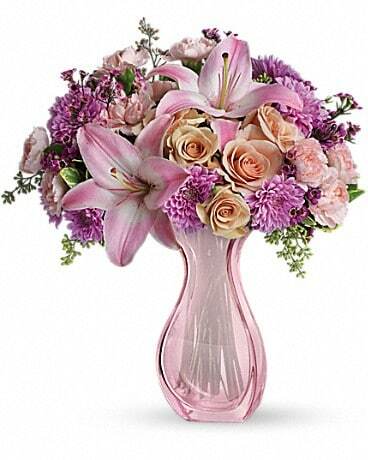 Make Mom's day extra special with pink lilies and other pastel favorites in a gorgeous hand-blown pink glass vase. 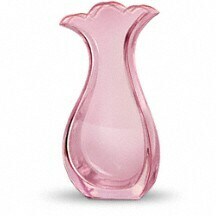 Designed with willowy curves that seem like grace in motion, it is a keepsake she'll love forever. 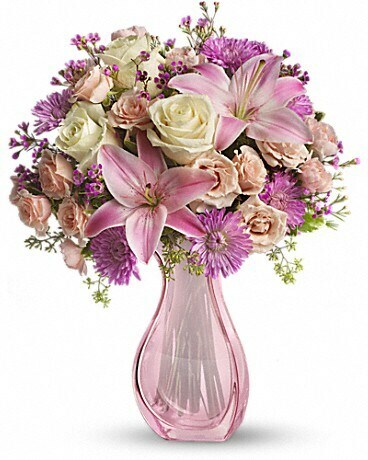 Impress Mom with your impeccable taste by sending her a stunning array of spring flowers in a gorgeous hand-blown pink glass vase. It's a gift she'll love now and forever. You'll see.